If you follow me on Instagram or Twitter, you may know that I recently (and when I say recently, I mean yesterday haha) bought my first MAC Lipstick.Yes, first one ever at 23 years old. Where I lived (Portugal, Madeira Island) we don’t have any MAC store so even if I wanted, I couldn’t have it. Or I could if I didn’t mind paying a ridiculous postage fee. Anyways, now living in the UK it is much easier even though here in Blackpool there is no MAC Cosmetics store, again. But on the other hand, there is always an online store option and postage fees are not as bad. It was about time to put my hands on one of them! I have a thing for dark lipsticks, I will just say it. I love them. I love how they look on me, I think it suits me. And now, having the whitest skin I have ever had because of this “lovely” british weather, I like it even more. So while browsing on their website, I found MAC Hang Up Lipstick. I wore it today fore the first time (of course) and I couldn’t be happier with the colour. Hang up is a cremesheen lipstick so, as you can see, it has that lovely glossy finish on the lips. It is very easy to apply as it has a creamy consistency and a strong colour payoff. It is a beautiful colour for autumn/winter time. Some people would see this lipstick as an evening one but I am brave enough to wear it during the day. 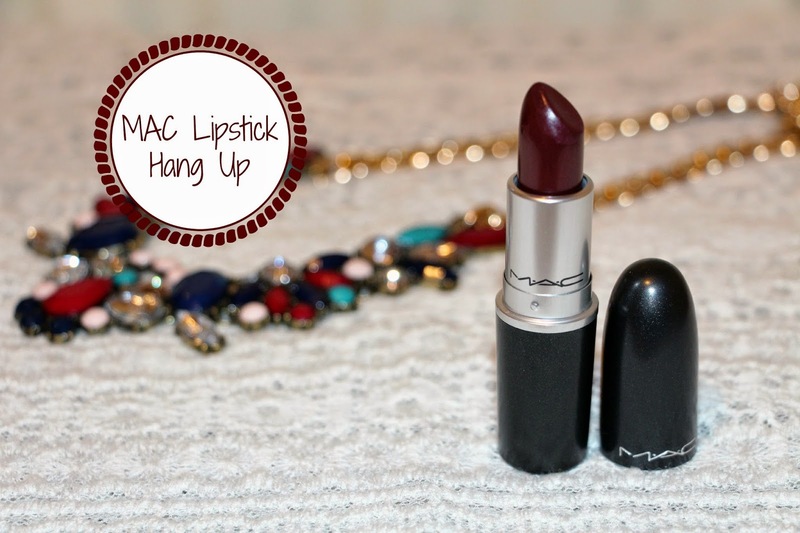 If you are a dark lipstick lover as I am, this is a must to add to your lipstick collection. Available in MAC stores and online for £15.50. If you do buy online, use the voucher code MACTREAT and you will get a free sample and free next day delivery! Are you a dark lipstick lover? Are you a fan of Hang up? Let me know! Next Post Slip-on Sneakers | A Trend that I still love.